No matter what team you're rooting for, we can all agree on delicious food. I'll be honest: While I enjoy watching Tom Brady, I'm not a football fan. But I can appreciate football on a single day of the year: Super Bowl Sunday. Why? The food, of course. No matter which team you're rooting for, Super Bowl Sunday is always a perfect excuse to get together with friends and shove your face with delicious, cheesy snacks. What you serve on game day is important. So I went ahead and tested a bunch of the most popular Super Bowl recipes on Pinterest to make sure your food lineup is stacked. Here's how everything turned out. 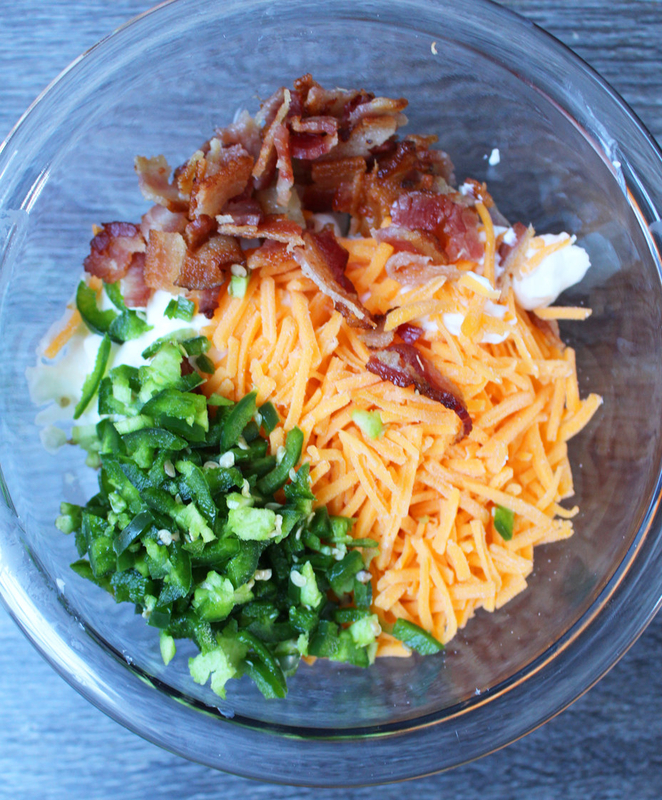 The process: These loaded hasselback potatoes are pretty straightforward to make. 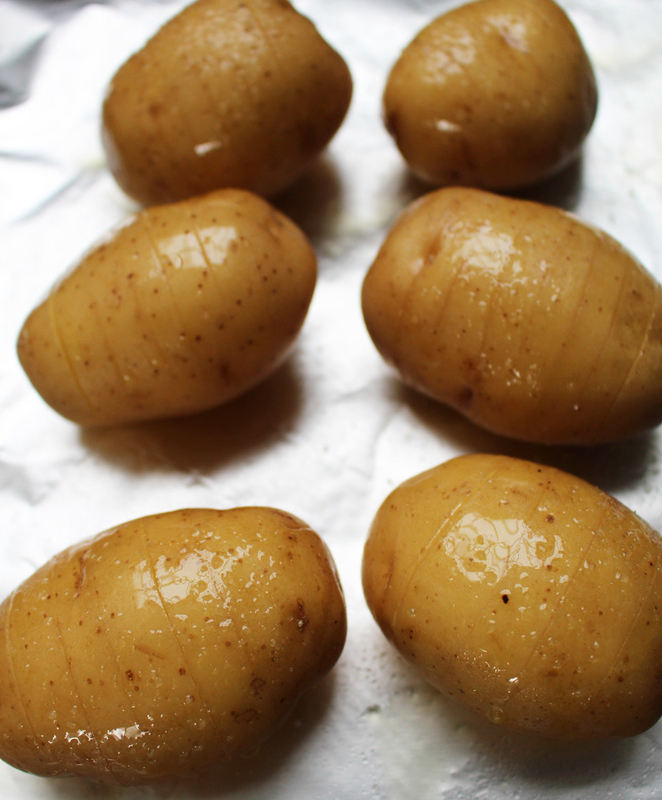 Start with Yukon gold or any small potatoes and cut slits across them, making sure not to slice all the way through. 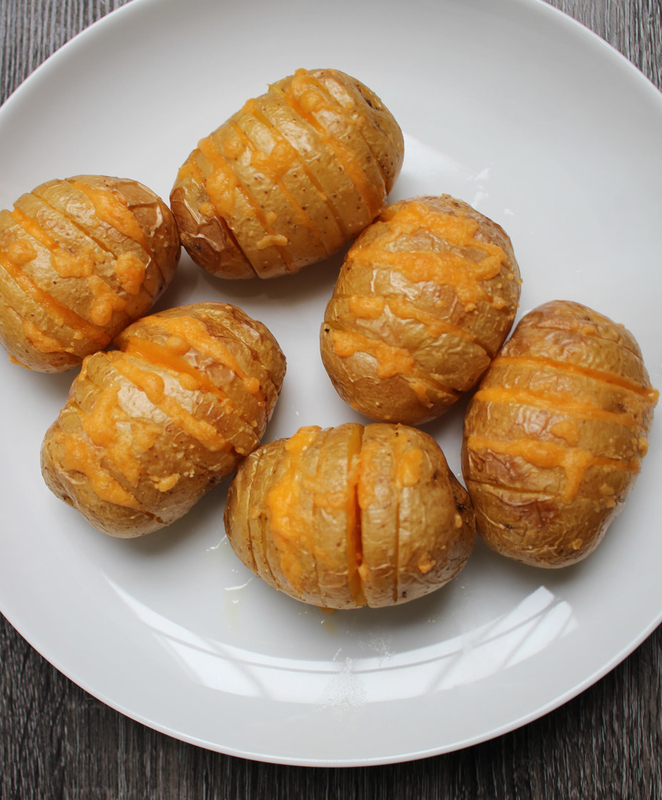 Roast the potatoes in the oven until tender, stuff the slits with cheese, and bake them some more until melted. 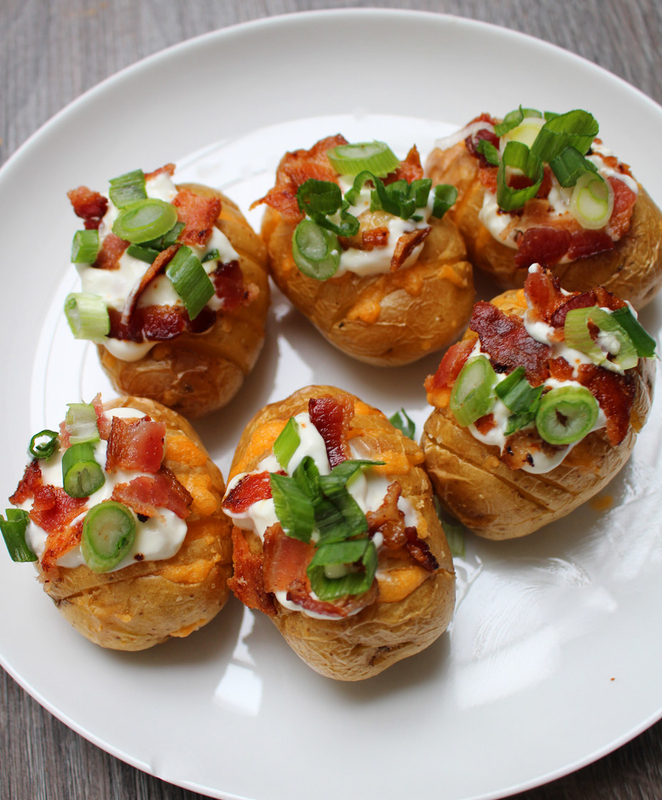 Once they’re out of the oven, add your favorite toppings like sour cream, bacon, and scallions. 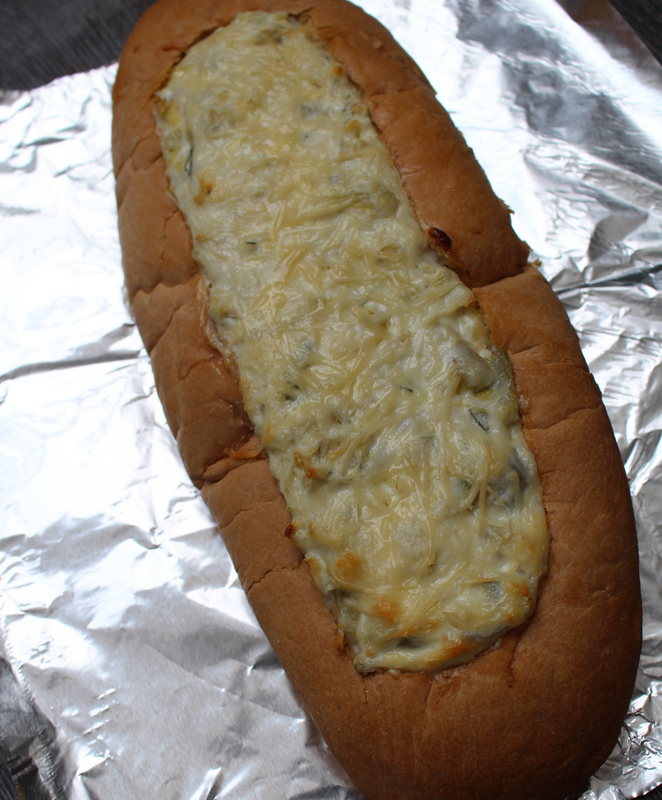 The results: The only difficult part about this recipe was slicing the potatoes carefully so that the slits are deep enough to hold the shredded cheese but not too deep as to cut the potato in half. I lost a few potatoes along the way, so I’d suggest buying a few extras to account for casualties. I later came across this tasty video that I wish I saw ahead of time, which reveals a handy trick for slicing potatoes over chopsticks. These take about 50 minutes to make (most of that time is waiting while the potatoes roast in the oven). They were pretty filling, but a little difficult to eat as a finger food. 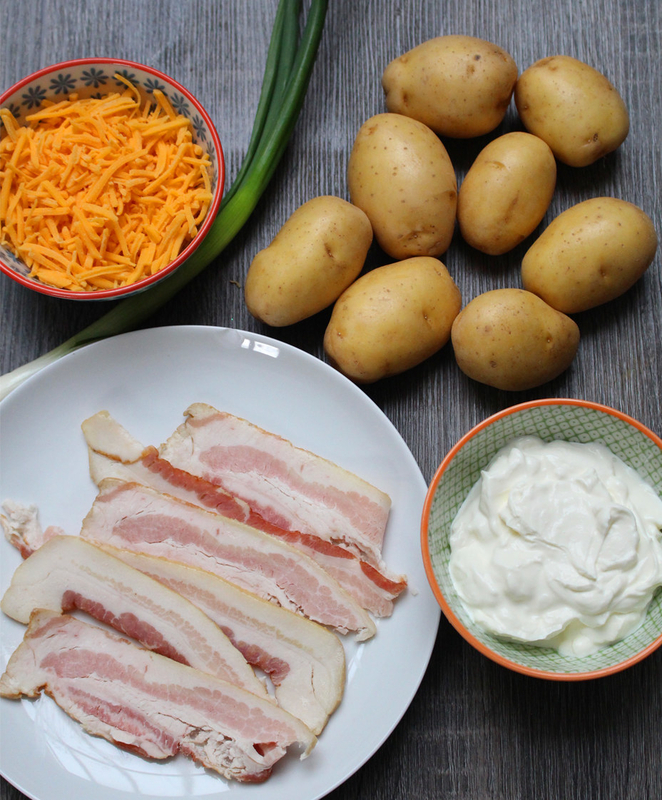 And between the crispy bacon, creamy sour cream, and sharp cheddar, the flavor was great. 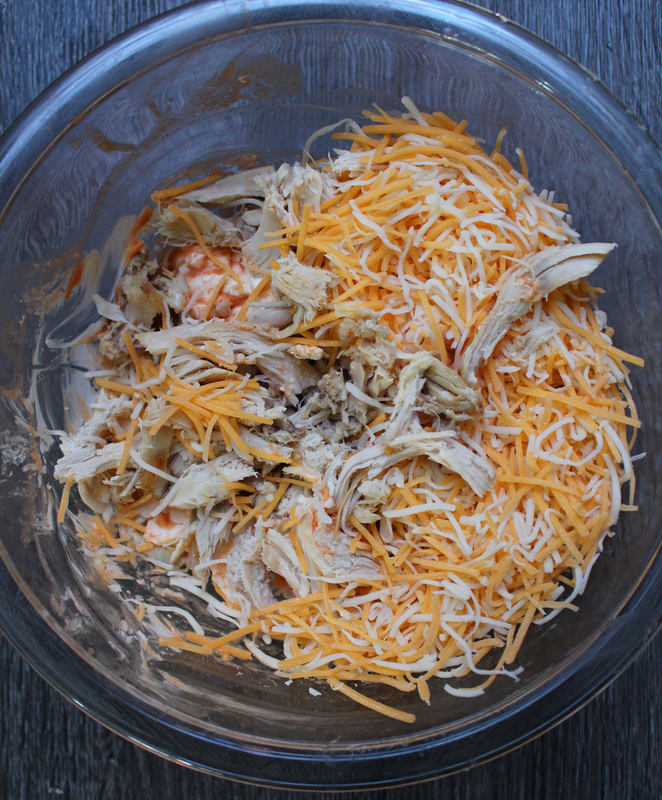 The process: It’s not a Super Bowl celebration without party dip. I’m a huge fan of spinach artichoke dip, but I usually buy it pre-made because I always assumed something so indulgent would be hard to make at home. I was mistaken. With just a few basic ingredients like sour cream, cream cheese, mayo, Parmesan cheese, and canned artichoke hearts, this dip comes together in no time. 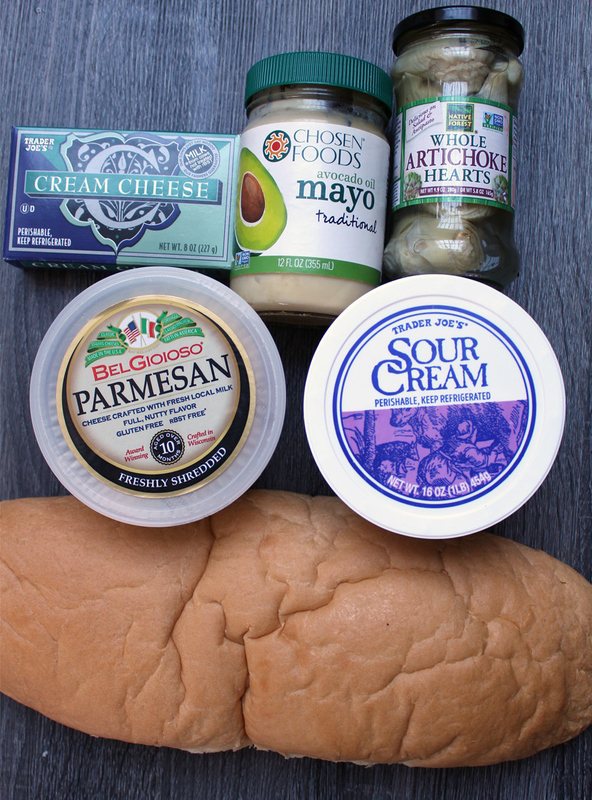 You just combine these ingredients, add them into a hollowed out bread bowl, and bake until warm and melty. The results: While the recipe suggests using two crispy baguettes, I decided to use one load of large, fat Italian bread because it made cutting the bread bowl easier. In retrospect, I think this was a wise choice. Once done, there are two ways you can eat this artichoke bread bowl, of course. 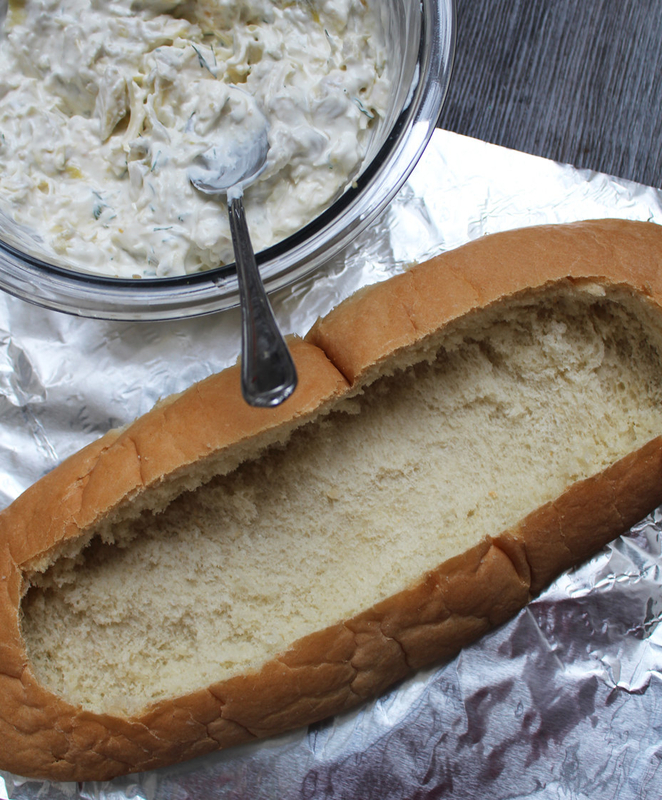 You can slice it horizontally and serve it in slices, or you can put the bread bowl out with crackers or pita chips and then eat the artichoke dip-soaked bread once the filling is gone. Either would be delicious, and both are a step up from your store-bought party dip. I'm not a huge fan of mayo or sour cream, so I wasn't sure what to expect when I tried this dip. 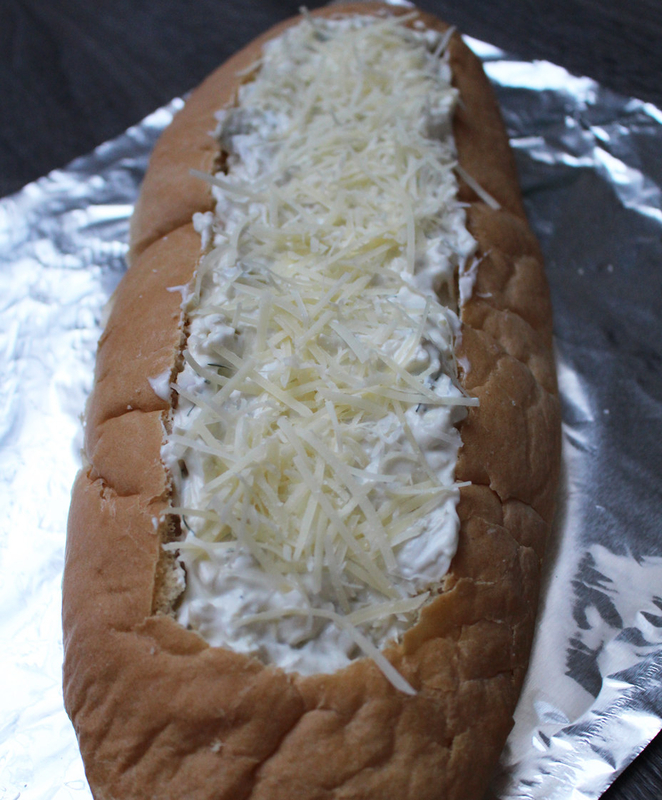 But ultimately, the mozzarella, parmesan, and cream cheese mask the other ingredients and the result is just creamy, cheesy goodness. 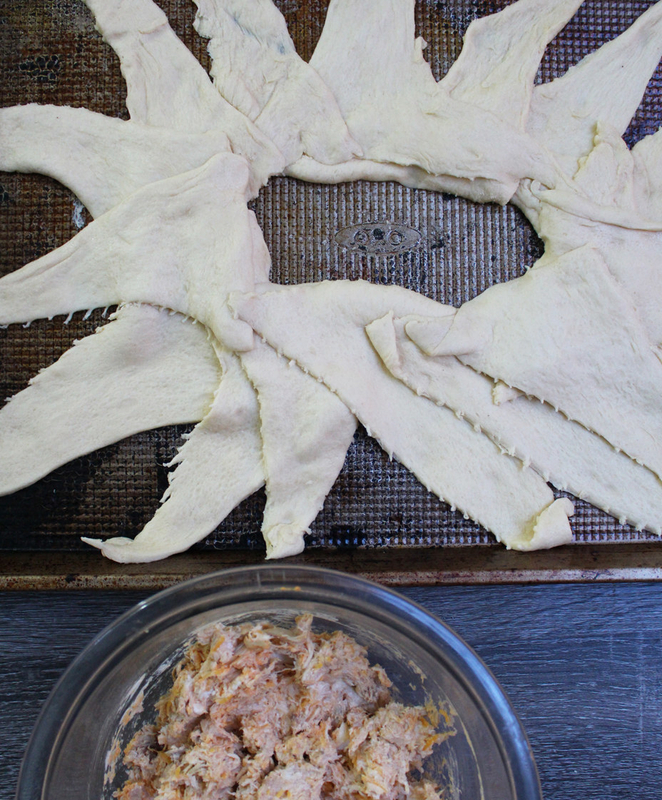 The process: Of all the Super Bowl recipes I decided to test out, this crescent roll was the most daunting. Not because the recipe is difficult, per se, but because you have to strategically shape crescent roll dough and fold it all up. 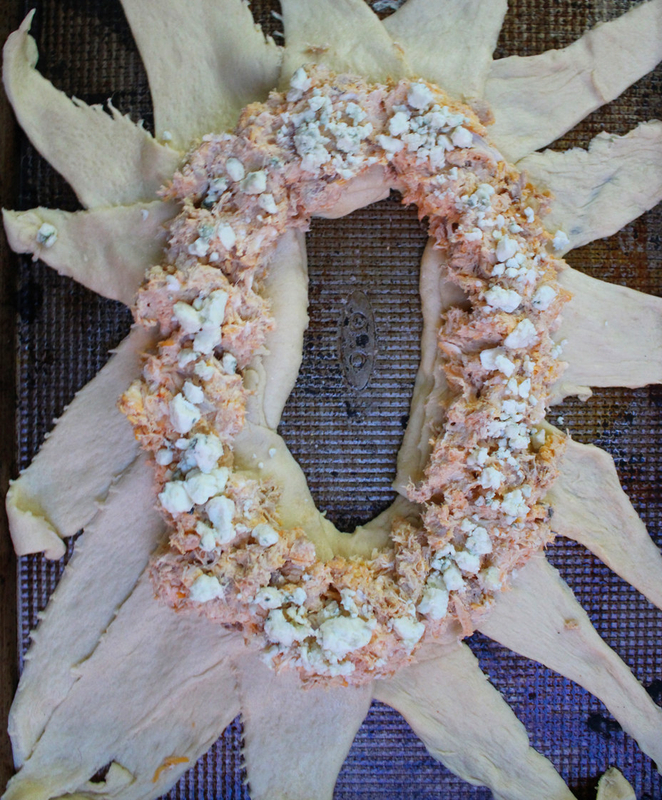 Essentially, you want to take two rolls of refrigerated crescent dough, separate the dough into 16 triangles, layer the triangles so the whole shape resembles a sun, fill the interior ring of the dough with a buffalo chicken mixture, then fold it all up into a ring and bake until golden brown. 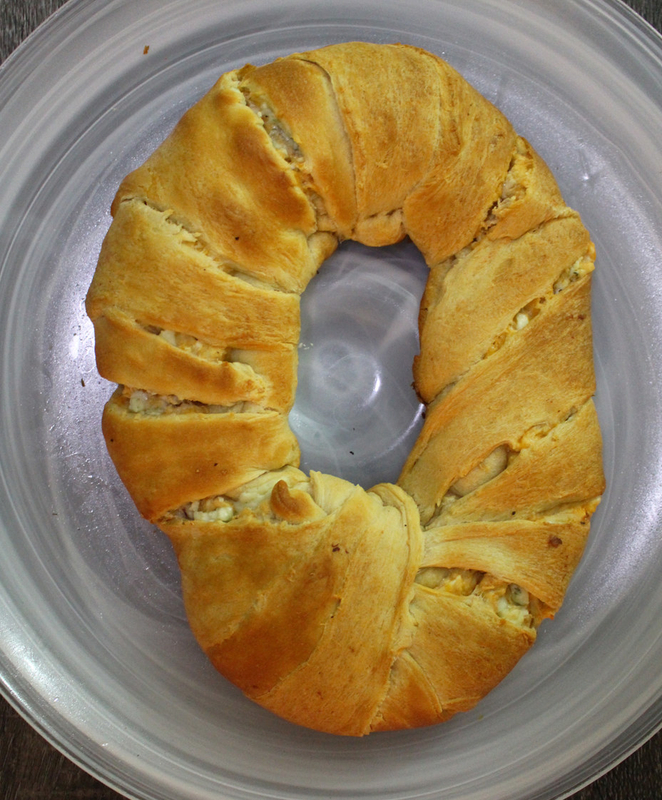 The results: If I could figure out how to make this crescent ring, so can you. The key here is to use a big, flat baking sheet. I only had a rimmed baking sheet, which made laying out the crescent dough somewhat of a challenge. While some of my crescent dough triangles got a bit smushed, it all worked out once I rolled the dough into a ring. 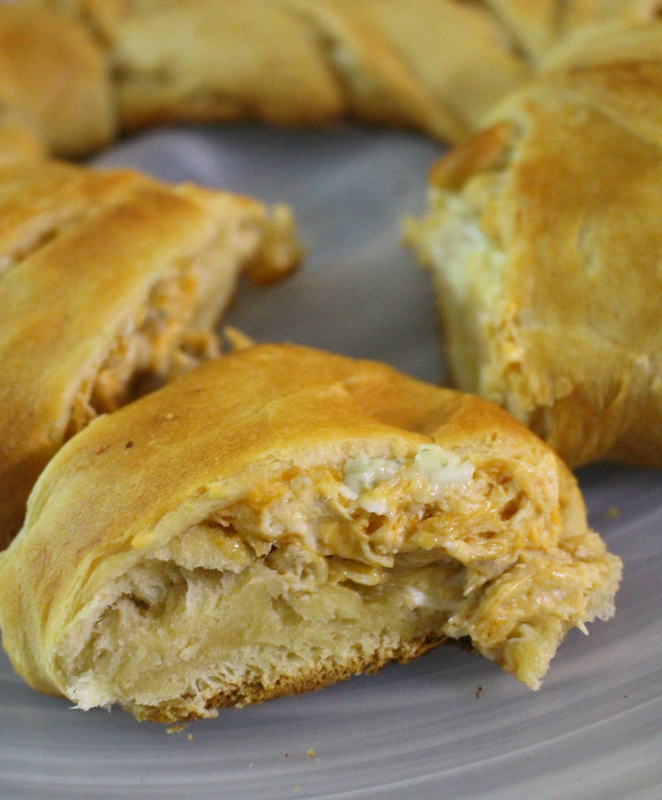 Make sure not to overstuff the dough with the buffalo chicken filling. That way, once you roll the dough, the filling won’t fall out. IMHO, the dough overpowered the filling in the end and there was too much breading to taste the buffalo chicken. Also, if you like spicy, double the amount of hot sauce the recipe calls for. I used more than instructed, and it didn’t have enough of a kick for my tatse. Ultimately, I don't think this recipe was worth the time. In the future, I'd rather just dunk some crispy bread into a bowl of warm and gooey buffalo chicken dip. 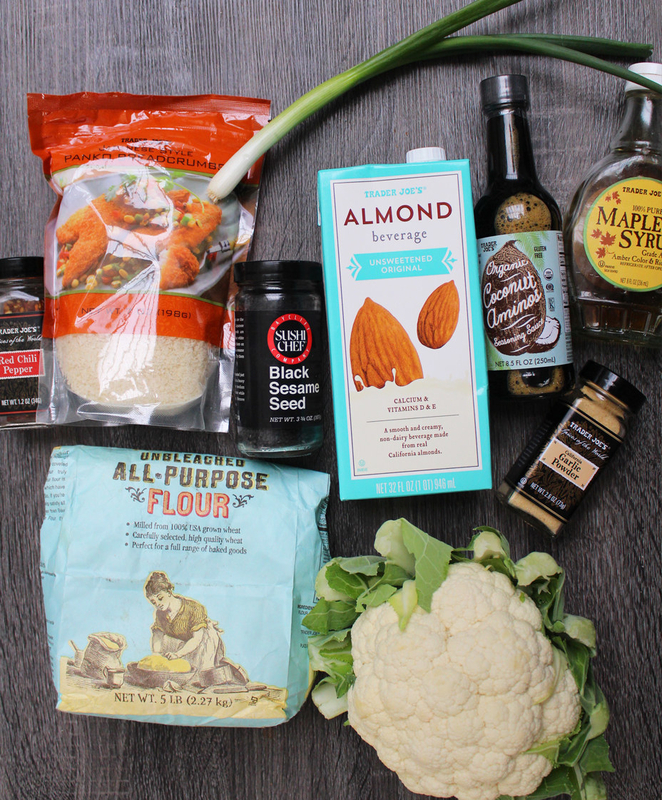 The process: On my Pinterest feed there are a ton of vegetarian swaps for popular meat dishes including cauliflower “wings.” Thanks to cauliflower’s texture and its ability to taste like whatever you cook it in, it’s often baked or fried as an alternative to chicken wings. 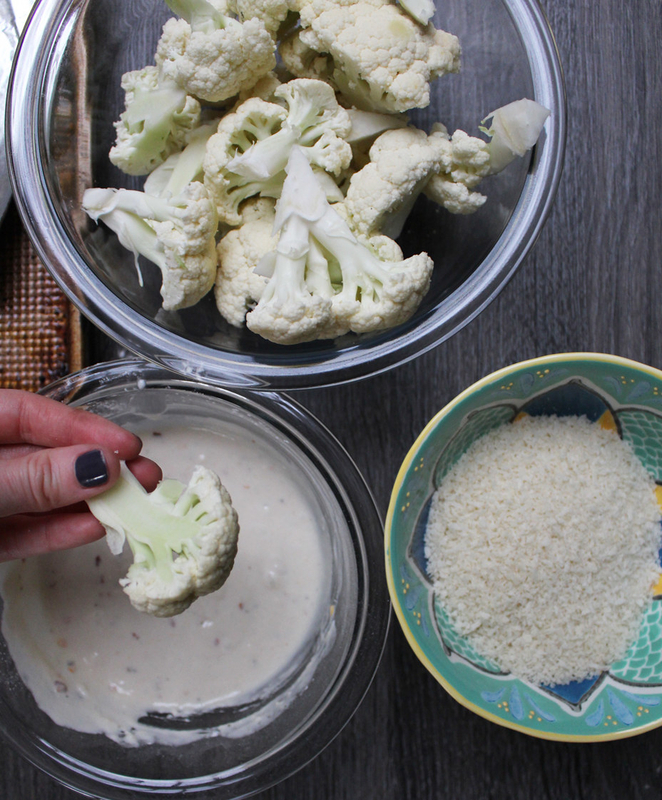 In this recipe, cauliflower florets are breaded in panko and dipped in batter, then baked and tossed in a sweet and tangy sesame sauce. 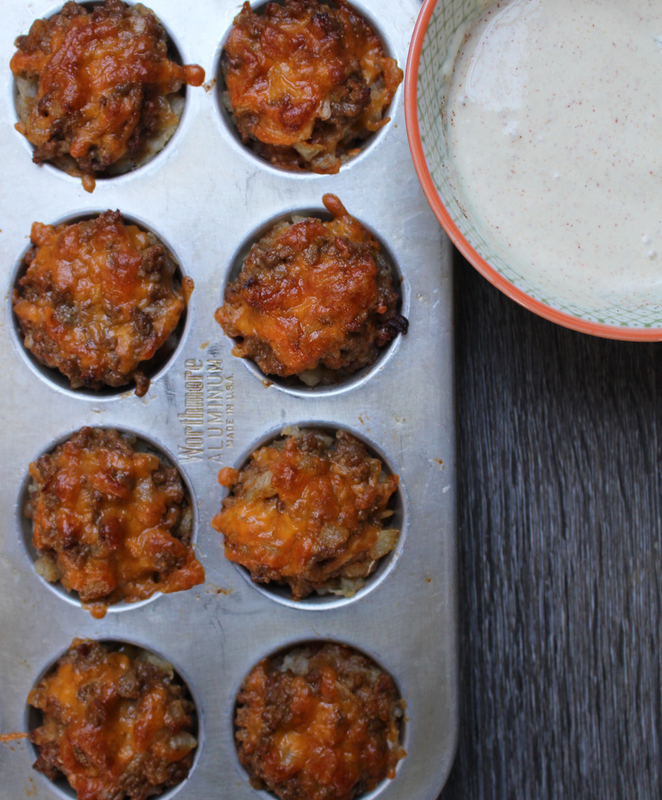 If these actually worked, they could be a great healthyish and meatless addition to any Super Bowl menu. 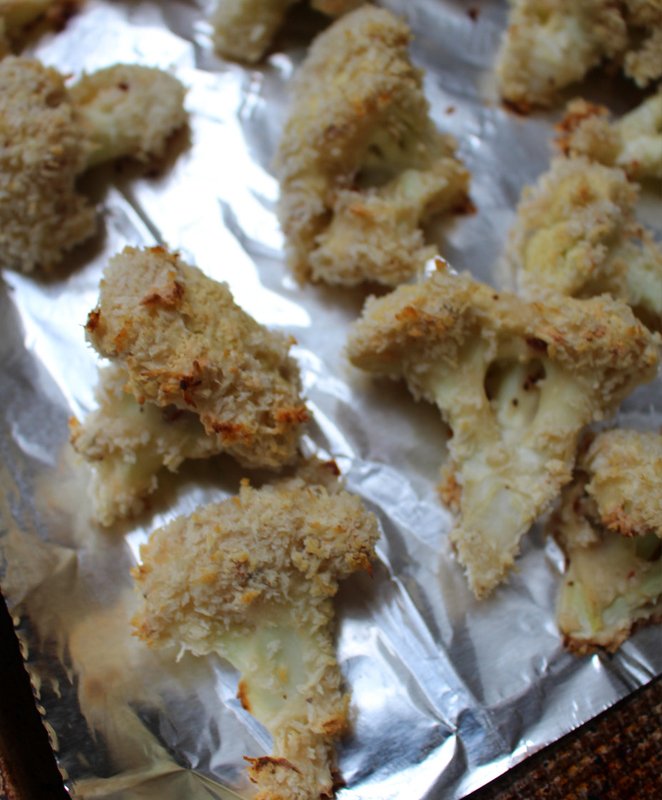 The results: I was excited to try these cauliflower bites, but ultimately I was a little let down. Are these tasty? Sure. As far as vegetables go, they're great. Are they a substitute for chicken wings? Definitely not. 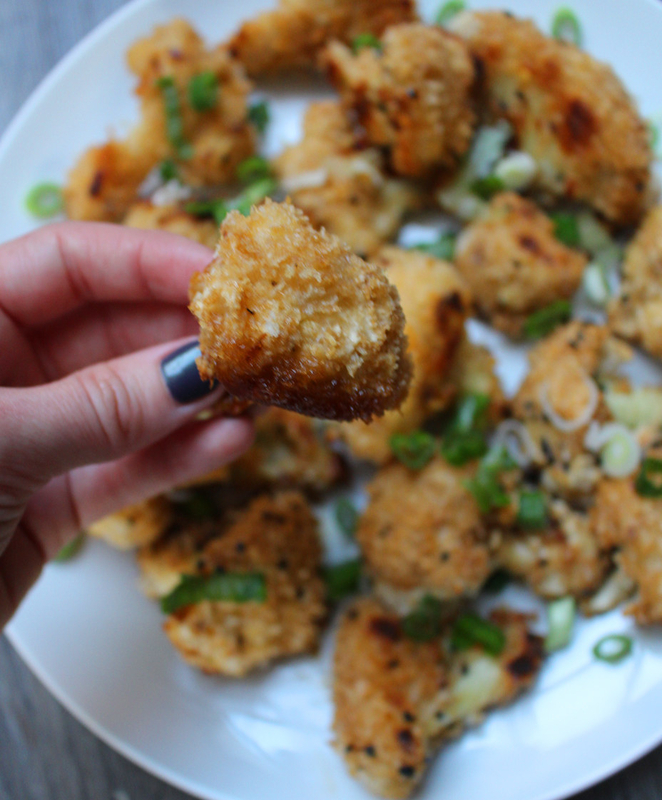 The cauliflower bites were crispy on the outside and soft on the inside, but if you’re looking for something you can really sink your teeth into, these will leave you disappointed. And the sauce was very thin, more similar to the consistency of soy sauce than a sticky glaze. Also, I’d suggest doubling or really even tripling the amount of sauce. I followed the recipe and made another batch of sauce because it didn’t cover even half of the cauliflower. If I were to make these again, I would try thickening the dipping sauce with cornstarch and maybe even frying the cauliflower. After all, calories don’t count on Super Bowl night. 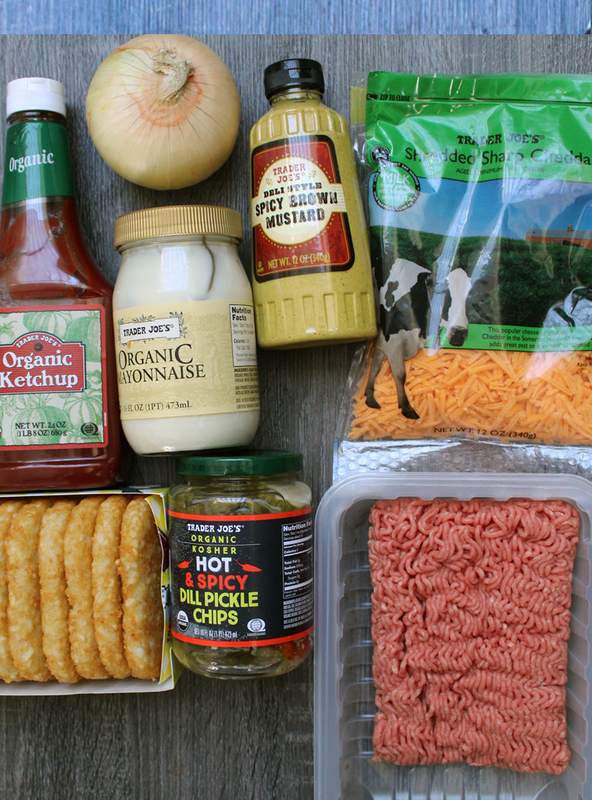 The process: This recipe combines two classic bar foods – burgers and tater tots – into one bite-size snack. 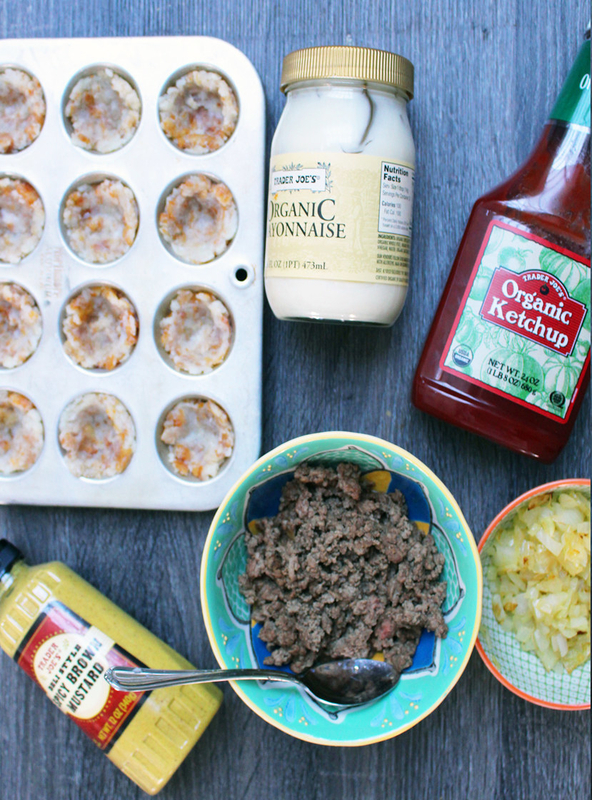 You mash tater tots in mini muffin tins to create little cups, then you fill the crispy potato cups with a mixture of cooked ground beef, sautéed onions, condiments, and cheese. While the recipe calls for frozen tater tots, I decided to use hash browns instead for two reasons. 1) I had them in my freezer and 2) once mashed up, they’re basically the exact same thing. The results: This was the biggest shock of all the recipes I tried. I didn’t have very high expectations, mostly because the hamburger filling looks pretty gross. Doused in a mixture of mayo, ketchup, mustard, and pickle relish, it was pretty unappetizing. But looks aside, it tasted delicious. The condiments in the beef mixture actually tasted strikingly similar to McDonald’s burger. While definitely not the most attractive snack at your Super Bowl party, these were pretty addictive. Keep in mind, though, that the “secret sauce” recipe makes a ton of sauce, and you really don’t need it all, especially because the cheeseburger filling is already pretty moist as is. 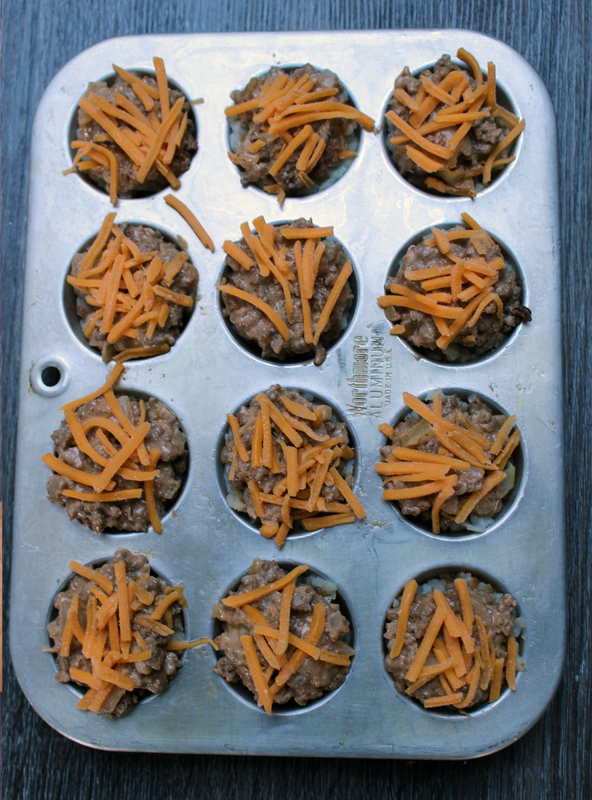 My only other critique is that the potato cups got a bit soggy underneath the ground beef mixture. They didn’t have that crispy-on-the-outside-yet-tender-on-the-inside texture I love about fried potatoes. 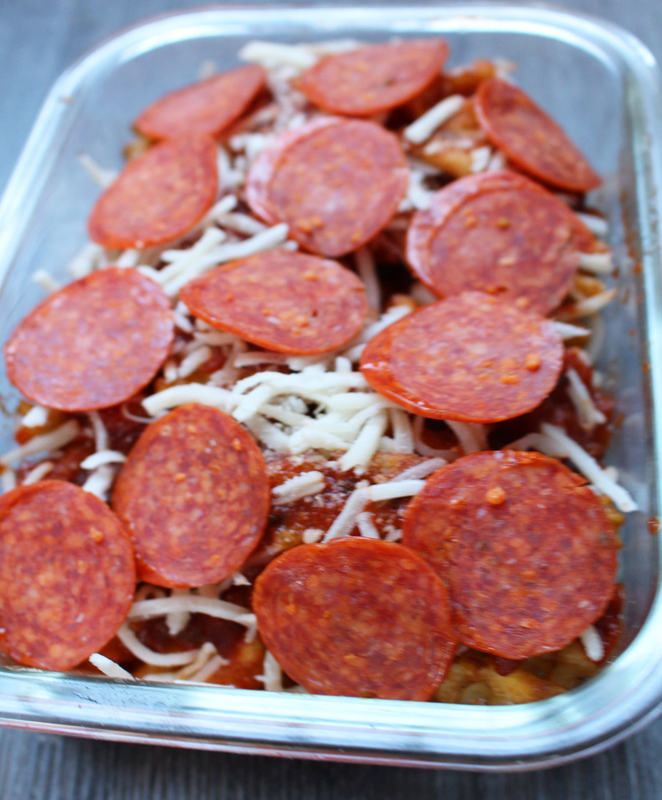 The process: Nachos and pizza are two of the greatest game day foods, so why not combine them into one? For a creative and impressive-looking Super Bowl recipe, these cheesy, pull-apart pizza waffle fries couldn’t be easier. 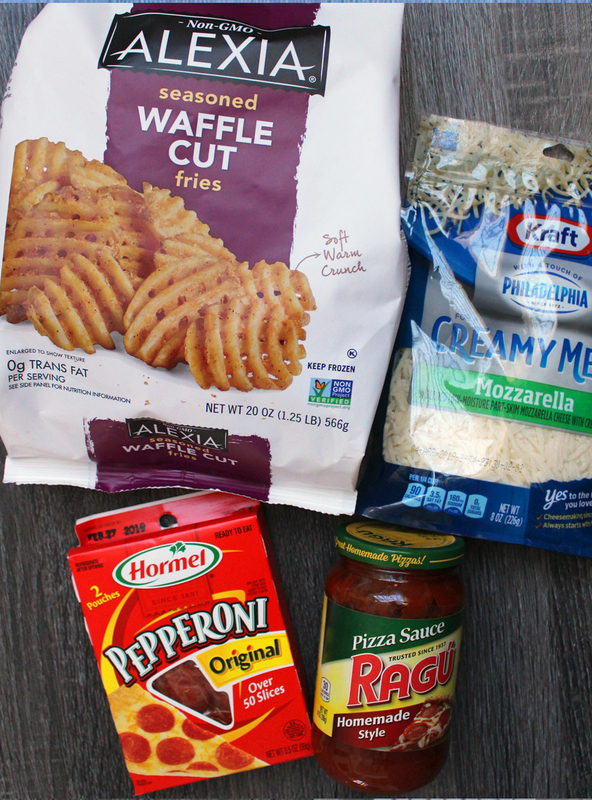 And all you need are a few basic ingredients: frozen waffle fries, tomato sauce, mozzarella cheese, and pepperoni (or any other pizza toppings you prefer). You cook the waffle fries according to the package directions, layer them with the tomato sauce, cheese, and pepperoni, then bake them some more until the cheese is melted. 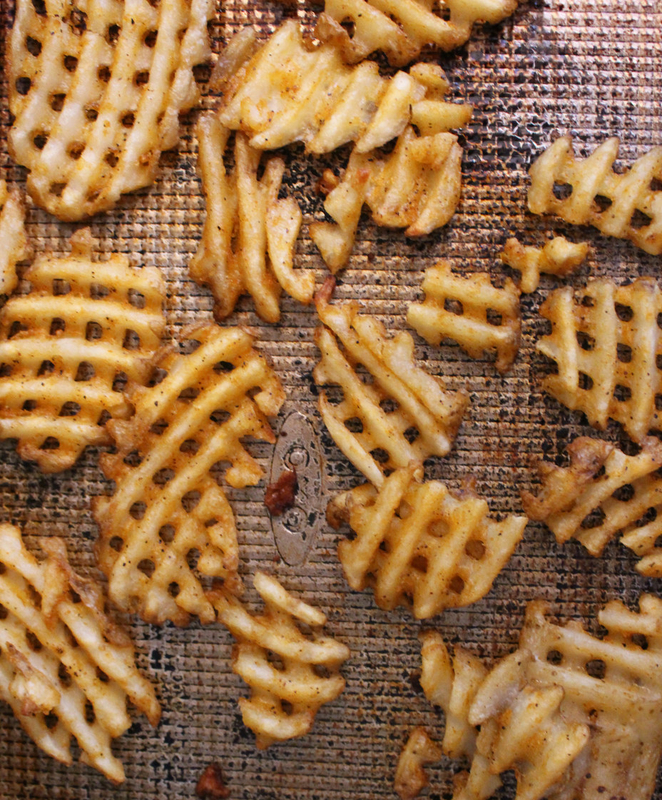 The results: While these had great potential, my waffle pizza fries didn’t come out great. In retrospect, I can identify my big mistake, which was using too much tomato sauce. All the sauce made the fries pretty soggy and difficult to eat without a fork. 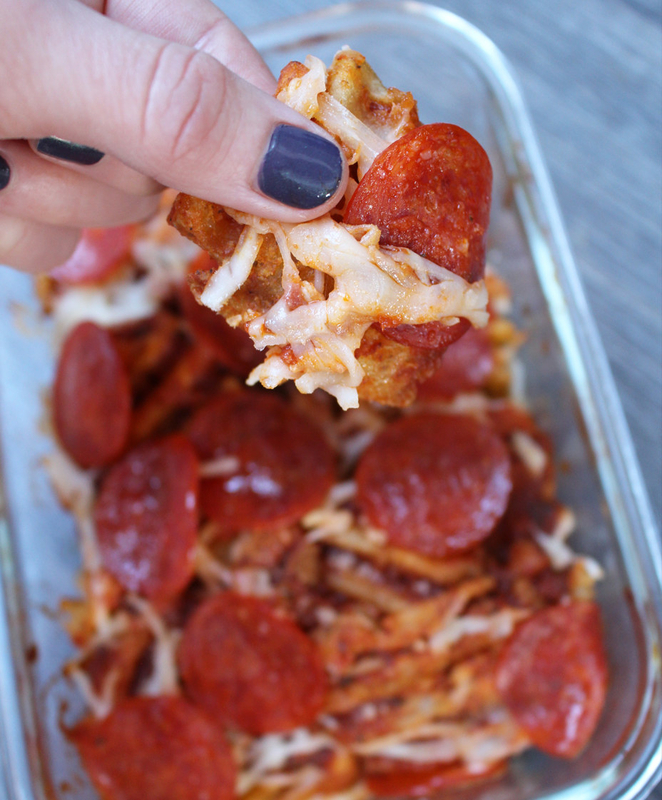 I’d absolutely make them again, but next time I’d go light on the tomato sauce and serve these pizza fries with marinara sauce on the side for dunking. What’s fun about this recipe is that you can really customize it to include your favorite toppings like sliced olives and mushroom, crumbled sausage and peppers, you name it. If there are kids at your party, you can set up a DIY waffle pizza bar with a handful of ingredients and let them make their own creations. 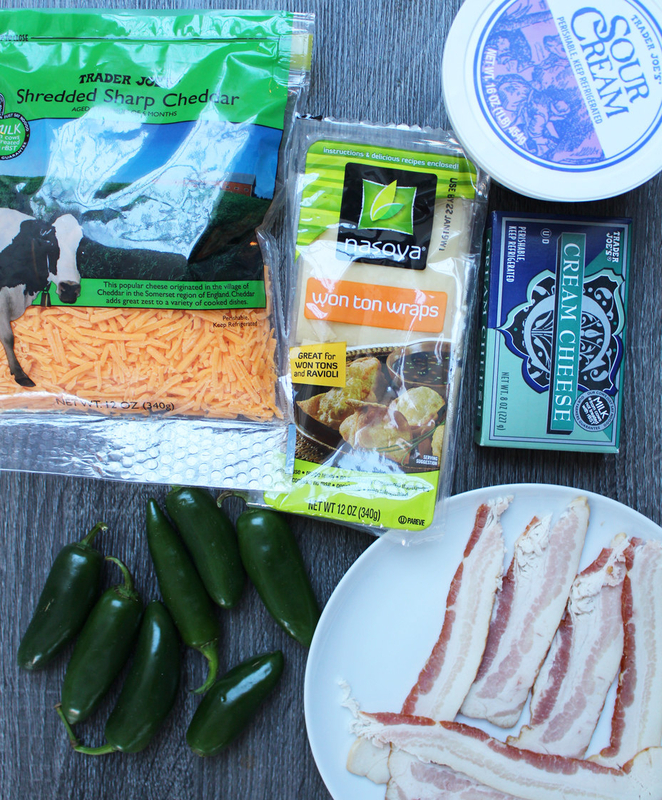 The process: These bite-sized snacks are a twist on classic jalapeño poppers, but instead of taking the time to hollow out the seeds and stuff jalapeños, they’re baked right into wonton wrappers. 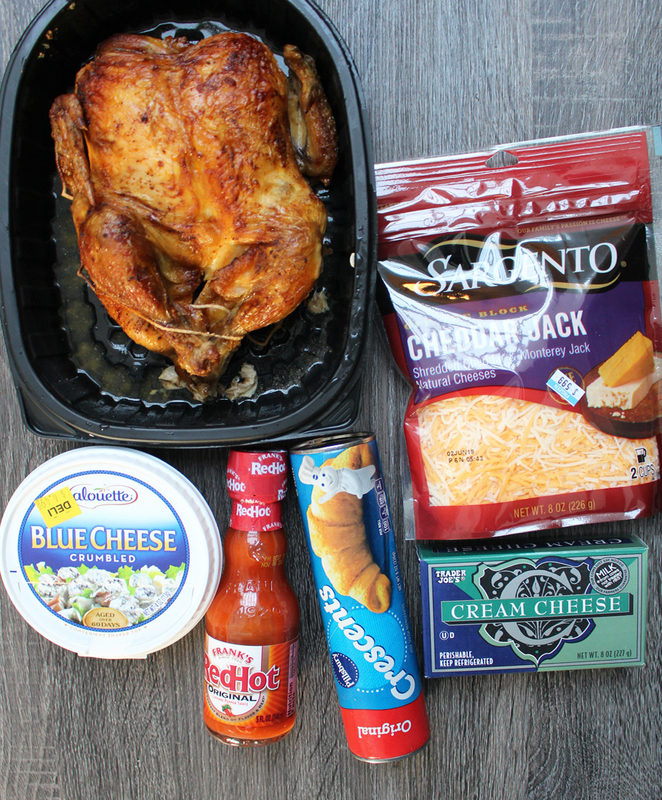 Since there’s really no cooking required, anyone can make these. Just secure the wonton wrappers into mini muffin tins and bake them for a few minutes until the sides are golden brown and firm. 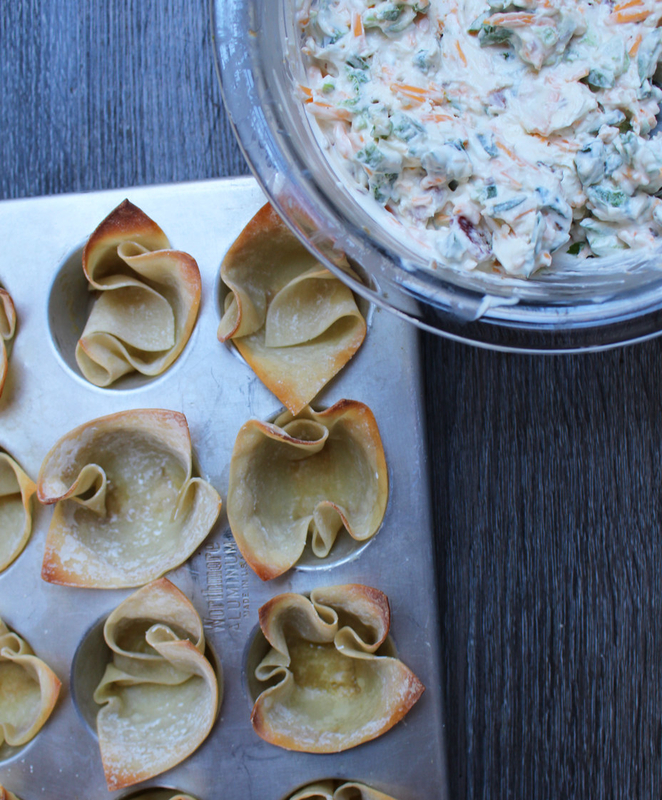 Then, stuff the wonton cups with a mixture of sour cream, cream cheese, diced jalapeño, bacon, and Monterey Jack cheese, and cook them until everything is melted. The results: TBH, I prefer the taste and texture of biting into a cheesy, stuffed jalapeño (maybe it’s because the crunch of pepper makes me feel like I'm eating something not entirely unhealthy). 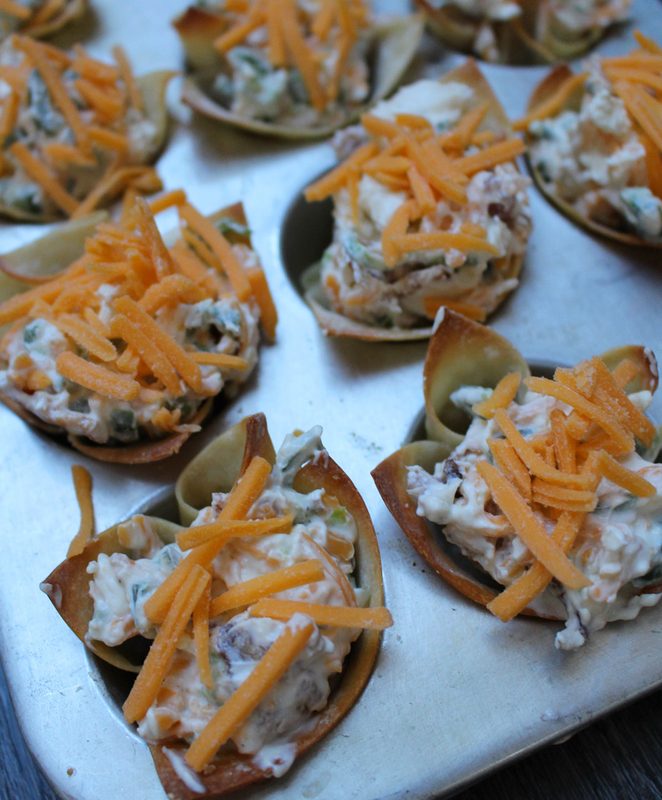 But these jalapeño popper cups were pretty satisfying. I like how you can make them as mild or spicy as you want, depending on how much jalapeño and how many seeds you add to the cheese mixture. I like spice and despite using three jalapeños, I was still craving more of a kick so next time, I’d even add a dash of hot sauce to the mix. Ultimately, these are everything you’d want in a super bowl snack: They’re crunchy, creamy, spicy, and a perfect finger food.